Dog training methods can be specific to certain dog breeds. In part one of this two part series Nadia Crighton looks at Toy Dog Breeds, Terrier Breeds, Gundogs and Hound Breeds. Don’t miss Part Two containing Working, Utility and Non – Sporting Breeds. Dog Training Tips / Methods: Many will say that toy dog breeds are harder to toilet train than larger dog breeds. This is not true if you follow some basic rules when training. Never pick your dog up to take them out to toilet, always get them to walk outside when toilet training. Toy dog breeds are very affection dogs so it is vital gentle positive dog training is used instead of punishment. 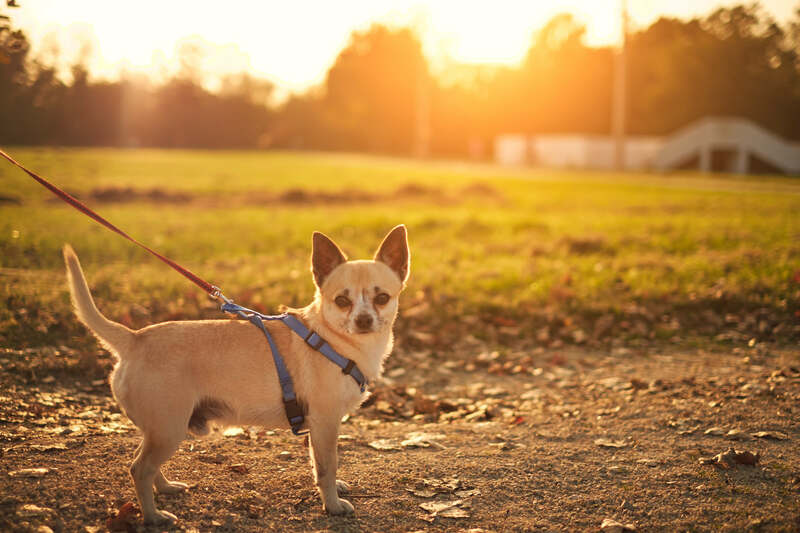 Also train your toy dog breed to correctly walk on a leash instead of always being carried. Dog Training Methods: Unlike many other dog breeds, Terriers were bred to work independently of their masters. So they will tend to go sniffing off and adventuring without the fear, or care, that you are not around. Because of this inherited trait it is vital you train your Terrier to ‘come’ when called and to respect boundaries (like fences etc). They thrive on dog training and are very food orientated making treat rewards for positive reinforcement the way to go. They love to be the center of attention and can bore easily, so consider more challenging training and reward for the behaviour you want rather than constantly correcting the bad stuff. They do great in agility and other dog sports. Dog Training Methods: Gundogs simply love working with their human counterparts. They have worked, and continue to work, beside humans in complete harmony. Gundogs tend to be easy to train and they thrive on positive reinforcement and clicker dog training. It is vital if you wish to hunt with your Gundog that you teach them the importance of getting their attention. This breed will thrive in a class or one-on-one training sessions. Socialization from puppy hood is very important particularly if you wish to work with your dog. Dog Training Methods: Hound breeds can be a mix when it comes to dog training. Some train easily, while others do not. So it is best to chat with your dog breeder about the best training options with your Hound breed. Gentle methods are paramount and patience is required to get what you want out of your dog. Some Hound breeds are very food orientated, however may only listen if you have food on hand. They are very smart dogs, but tend to have a mind of their own and if they simply are not interested in doing something you may have one stubborn beautiful dog on your hands. Understanding this dog breed is paramount before you purchase. Creative dog training techniques are a MUST with Hounds. Remember…letting a Hound off leash without a confident ‘come’ command can be a recipe for disaster!